Heat half the oil in a wok over high heat. Add half the chicken. With remaining chicken, reheating the pan between batches. Combine the sherry, soy sauce, kecap manis and cornflour in a small bowl. Heat remaining oil in wok over high heat. Add broccoli. Stir-fry for 2 minutes. Add shallot. 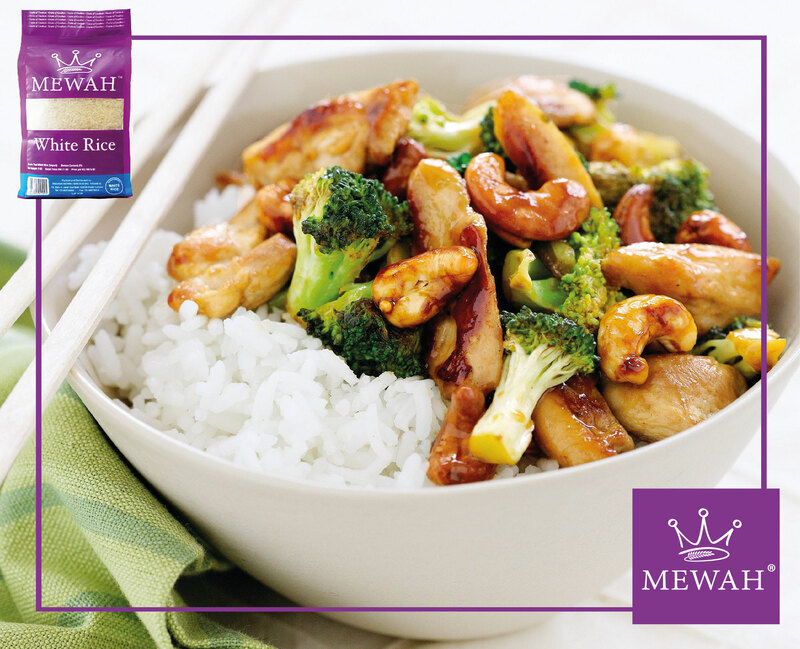 Stir-fry for 1 minute or until broccoli is bright green and tender crisp. Add chicken, cornflour mixture and cashews. Stir-fry until combined and chicken is heated through. MEWAH Recipe : Oil Rice "Nasi Minyak"